A male client had recently started a new job that required him to take regular flights. He was also due to get married in a few months’ time and was desperate for the long-haul honeymoon flight to go smoothly for him. We recommended four hypnotherapy sessions focused on teaching him practical coping strategies, including self-hypnosis, using positive visualisations. He was able to take his honeymoon flight without any problems. While on holiday he also felt confident enough to book some unplanned internal flights on 6-seater aeroplanes. I had a 4 1-hour course of hypnotherapy for a fear of flying. I flew 5 days after my last session and it was very effective. I felt I should be fearful but the fear didn’t reach me, like it was on the other side of a screen. 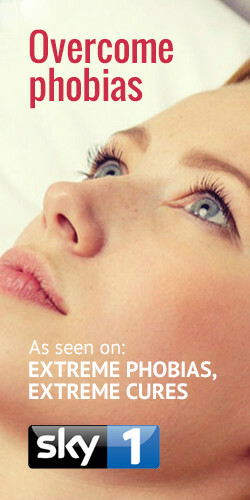 For irrational fears, please see our extensive section on phobias. Fear is a biological response to a threatening situation that a person is not expecting. Fear can be felt over life threatening situations, like a fire. However, fear can also be felt when faced with far safer experiences such as moving to a new city or starting a new job. The main difference between anxiety and fear is that fear is based in some immediate context which prompts a ‘fight or flight’ reaction from a person. Whereas, anxiety is a far more drawn out ordeal that imbues a sometimes debilitating sense of dread or panic, and usually springs from a concern about the future. In humans and animals, fear is determined by perception and learning and is therefore labelled as rational or irrational. An example of a rational fear would be a fear of death. Whereas an example of an irrational fear, or phobia, would be a fear of long words. Therapies we often use to treat fear include CBT (Cognitive Behavioural Therapy) or hypnotherapy. —Pinnacle Therapy was founded in 2005 by Richard Reid, a highly qualified psychotherapist, hypnotherapist, counsellor and mediator practicing in London and Richmond. Learn more about Richard and Pinnacle Therapy. Dealing with this issue in the workplace? Counselling and psychotherapy techniques can turn a business around, just as much as they can change the lives of individuals. Pinnacle Therapy’s business division, Pinnacle Proactive, specialises in supporting businesses. I found the whole experience incredibly useful and I feel I've moved on massively in a relatively short space of time. I feel like a different person to how I felt when I walked into therapy! The main thing for me was being equipped with the tools to deal with anxiety and realise that I can deal with it! I would thoroughly recommend it. Although I was very hesitant to try this ‘therapy’ stuff at first (my wife made my first appointment for me), Richard made me feel comfortable and made me realise exactly what I could expect from the very first session. I just wanted to thank you for all your help. I really feel like I’m getting better and starting to become the person who I really am. I appreciated the flexible approach to therapy which was tailored to my needs. Richard was good at remembering what I had said in previous sessions. I found his questions intelligent and thought-provoking. I have been through several life events all at the same time. Richard helped me deal with the associated mental health issues, in a positive and constructive way, which I genuinely didn’t think possible. I am now happy again, it’s been many years since I can say this, positive and smiling with people and enjoying life and it’s rewards and challenges. If you have any doubts, put those aside and take Richard’s expert and sensitive lead. EMDR changed my life for the better. Are Your Emotions Impacting On Your Stress Levels?